An app available for download from Apple’s iOS App Store contains an embedded Trojan horse. And while the good news is that you’re almost definitely safe from any malware danger, there’s still reason for concern. The app itself is almost certainly harmless—and the malicious code is probably present unintentionally—but the fact that the code slipped through the App Store’s review process isn’t ideal. The app Simply Find It, a $2 game from Simply Game, seems harmless enough. But if you run Bitdefender Virus Scanner—a free app in the Mac App Store—it will warn you about the presence of a Trojan horse within the app. A reader tipped Macworld off to the presence of the malware, and we confirmed it. Apple declined to comment on the issue. Bitdefender warns of the presence of Trojan.JS.iframe.BKD in the game. 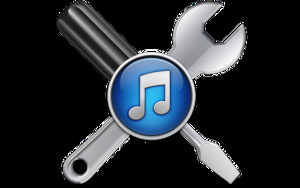 (Two other free Mac antivirus apps, iAntivirus and ClamXav, both failed to notice anything amiss with the app.) It’s not too much effort to figure out what Bitdefender is detecting in the app, either. That’s a fully functional audio file used in the game. You can play it on your Mac, and it sounds fine. 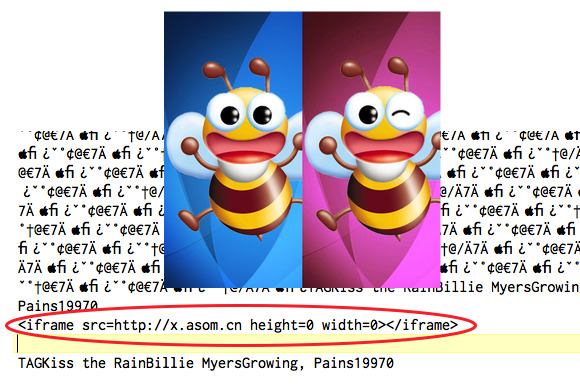 But when I opened the MP3 in BBEdit, I found this snippet just at the end of the file: iframe src="http://x.asom.cn"
That’s an iframe, HTML code that embeds a remote webpage. In this case, the server that iframe points to—x.asom.cn—isn’t actually responding at this writing. In theory, though, malware could use a secretly-embedded iframe to load up a maliciously-crafted webpage you didn’t intend to visit, and attempt to do various unpleasant things. Simply Game didn’t respond to Macworld’s request for comment, though it seems that iframe is embedded in that MP3 file unintentionally. The company sells numerous apps, and sells Simply Find It in the Mac App Store as well, where it is uninfected. All that said, though, “Without any transparency [from Apple on the approval process], we don’t know,” Mogull added. A developer could technically embed a mechanism within an app to open a compromised file—like day.mp3—and do something untoward with it. If Apple does run each app and test it for such activity, it’s well-equipped to detect such behavior. But if Apple is merely scanning files it considers risky, the company may need to check more files for rogue code. Again, though, that’s not what’s happening with Simply Find It. It’s a game that appears to have unintentionally embedded a corrupted MP3. Since the app doesn’t attempt to abuse that MP3, and since the URL embedded in the MP3 isn’t currently active, then our sources are right: There’s no current threat to users from this particular app. Still, with Apple’s lack of transparency regarding how it validates the safety of files added to the App Store, there’s at least minor cause for concern. The App Store still feels miles safer than the unmoderated waters of some competing platforms, but the presence of the troublesome code in Simply Find It should, perhaps, give you pause.